The Saskatoon Quakers welcomed a new catcher in 1913, 20-year-old Roxy Walters. He was never a large man; his listed playing height when he reached the majors was 5-feet-8 and he weighed 160 pounds, a stature at which he might have proved a target for a baserunner who confronted him blocking the plate. But he seems to have proved solid enough, ultimately playing in 11 major-league seasons, largely in a backup role. Roxy’s work for the Canadian team earned him an elevation to Class B ball with Waco (Texas League) in 1915, and a brief look-in at major-league play. He was one of three players sold by the Saskatoon club to Waco for $1,200.6 Walters hit .325 in 108 games for Waco – leading the league, according to the Fort Worth Star-Telegram – and made his major-league debut with the New York Yankees on September 16, 1915.7 Bobby Gilks of the Yankees had acquired his rights on behalf of the New York team on July 23. Waco won the Texas League pennant in 1915. Walters didn’t return to the minor leagues until 1926. This was not the Roxey (sometimes Roxie or Roxy) Walters who had played first base for the Central Association’s Muscatine Wallopers in 1912; that Roxey had a career dating back to 1900 and his name was Louis. Alfred John Walters was “our” Roxy, born in San Francisco on November 5, 1892. His father, John Jacob Walters, was a painter from Illinois born of a German father and French mother. John Jacob married Laura Bell, from Indiana. Laura was widowed by 1910, working as a wet nurse for a private family. She had two children in the home at the time, George, 21, a wrapper in a dry-goods store, and Alfred, 17, who was working as a shipping clerk for a freight-transfer company. The two boys had elder siblings born in the late 1870s – sister Bertie and brother Harry. Walters began 1916 as the backup catcher for manager Wild Bill Donovan and the Yankees and by the end of May was batting .289 after his first 13 games. He was the backup for Les Nunamaker. Walters played in 66 games, with a .266 batting average, and Nunamaker (batting .296) in 91, but Nunamaker drove in only 28 runs to Walters’ 23. Roxy apparently made a favorable impression with his defense and bat, and with his “pep.” More than one newspaper article declared that the two “finds” of the 1916 season were Walters and Rogers Hornsby. After the season Roxy married Miss Florence Herrmann of San Francisco on November 16. She was a native of California but of immigrant parents, her mother from Ireland and her father from Germany. They ultimately had two children, Henry and Robert. Les Nunamaker had been the principal catcher for the Yankees in 1917, but they traded him in January and it looked as though Walters would inherit the position. As it turns out, rookie Truck Hannah got the most work in 1918, playing in 90 games during the war-shortened season. Walters played in 64 and hit only .199. Hannah hit for a .220 average; he’d gotten the break because Walters had suffered one – a broken finger on a foul tip in an April 5 exhibition game in Columbia, South Carolina. In December 1918 the Yankees and Red Sox pulled off a seven-player trade that saw Walters go to Boston with Ray Caldwell, Frank Gilhooley, and Slim Love (and $15,000) for Dutch Leonard, Duffy Lewis, and Ernie Shore. Walters played the next five seasons for the Red Sox, though only in 1920 did he rank first among games caught. Although the three players the Red Sox gave up all seem in retrospect to be far bigger names than anyone the team acquired, at the time Walters was seen to be a very significant addition and the Boston Herald’s Burt Whitman – after acknowledging the skepticism at the time – even wrote that reliable baseball men had told him that Walters was “a tip-top gem” who “will almost make up for all three.”18 But that didn’t show in his play, and the Red Sox saw catcher Wally Schang hit .306, against which Walters’ .193 paled. In 1920 Walters got his most work as a member of the Red Sox, playing in 88 games but still hitting around .200 (he hit .198 with 28 RBIs, but walked enough to enjoy a .303 on-base percentage.) He never hit a home run at any point in his big-league career. Walters played in 54 games in 1921 and 38 games in 1922, hitting .201 and .194 respectively. 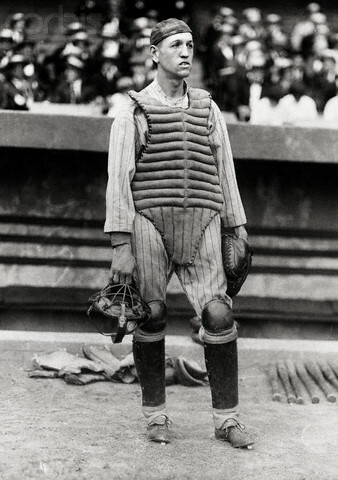 Muddy Ruel was Boston’s first-string catcher both years. Val Picinich took over as Red Sox lead catcher in 1923, but Walters was able to bump up his average to .250, playing in 40 games despite now being third on the depth chart, behind Ruel and Al DeVormer. Throughout, his defense was solid and he left the game with a .975 major-league fielding percentage. There was a lot of turnover on the Red Sox team, as the team plunged to the AL basement, and by the end of 1923 Walters was the last player who’d been on the team as recently as 1920, the last player from the Harry Frazee era. In January 1924 he was traded, too, sent to Cleveland on January 7 with George Burns and Chick Fewster for Dan Boone, Joe Connolly, Steve O'Neill, and Bill Wambsganss. After baseball, Walters worked in the oil industry. In 1930 the family was living in Oakland and he was employed as a gas adjuster for the gas company. At the time of the 1940 census, he was perhaps following in his father’s footsteps, working as a painter in the oil industry. The family was in San Francisco. Walters died at his Alameda, California, home from cardiac failure on June 3, 1956. In addition to the sources noted in this biography, the author also accessed Walters’ player file from the National Baseball Hall of Fame, the Encyclopedia of Minor League Baseball, Bill Lee’s The Baseball Necrology, Retrosheet.org, and Baseball-Reference.com. 1 The Oregonian (Portland), August 10, 1915. 2 The Oregonian, December 8, 1917. 4 The Oregonian, October 3, 1915, and December 8, 1917. 5 San Jose Mercury News, February 10, 1916. 6 Seattle Daily Times, February 14, 1915. 7 Fort Worth Star-Telegram, September 19, 1915. 8 Fort Worth Star-Telegram, September 22, 1915. 9 Boston Herald, July 24, 1915. 10 Springfield (Massachusetts) Republican, May 7, 1916. The Fort Worth Star-Telegram, May 30, 1916, said the sale price had been $2,500. 11 Sporting Life, September 25, 1915. 12 New York Times, September 17, 1915. 13 J.C. Kofoed, “The Live Wire of American League Catchers,” Baseball Magazine, January 1917, Vol. XVIII No. 3, 63-65. 14 Kalamazoo (Michigan) Gazette, September 9, 1916. The New York Times game story said Walters had been set but was just bowled over due to the differences in size – though in fact Veach is listed with the same 160 pounds playing weight and had only three inches on Walters. 15 Hartford Courant, December 28, 1916. 16 Kofoed, “The Live Wire,” 63. 17 Trenton (New Jersey) Evening Times, October 12, 1917; Washington Evening Star, October 14, 1917. 18 Boston Herald, January 15, 1919. 19 San Jose Evening News, November 11, 1919. 20 Boston Herald, September 25, 1925. 21 The Sporting News, April 28 and May 5, 1927.